Very interesting read. We moved last year and the house we purchased had lots of old maples and ash trees that had been planted to close together. So we’ve had lots of them removed and still need to have a few more removed. It’s very costly and we miss the shade, but not the mess. We’re slowly replacing some (another costly process). Honestly, I’d rather spend the money on flowers. Have a great weekend. How nice that your town will plant street trees for you. Our town will only take away the debris from a tree that you cut down. I guess that is better than nothing. Lisa – I think in a town named Greenfield the powers that be feel they have to try and live up to the image. Johanna – We were lucky – to have only grass surrounding 2 sides of our house. We’ve had the pleasure of planting big shrubs including 2 river birches, a weeping cherry, and a dappled willow. The shrubs do get bigger every day. How very nice that the town will plant trees on the street for you, even if you might have to wait awhile! When I lived down south, it was town code that every little house lot had to have a tree. While that was wonderful, sadly most landscapers put in unfortunate choices of trees, such as the Bradford Pear that has turned into such an environmental disaster. Indie – Unfortunately, many bad trees have been planted. 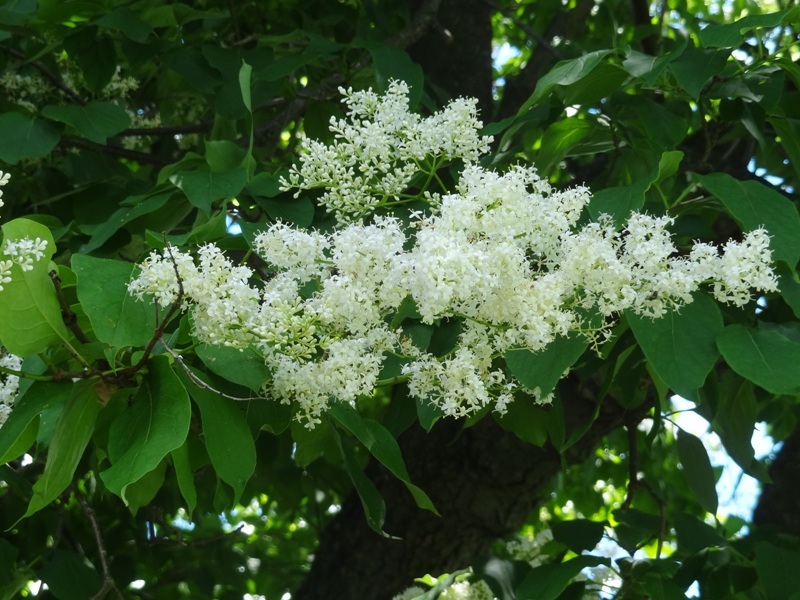 Some of those bad decisions were because of a lack of knowledge about specific trees, and sometimes, alas, because that knowledge took time to arrive – as in the case of the Bradford Pear. 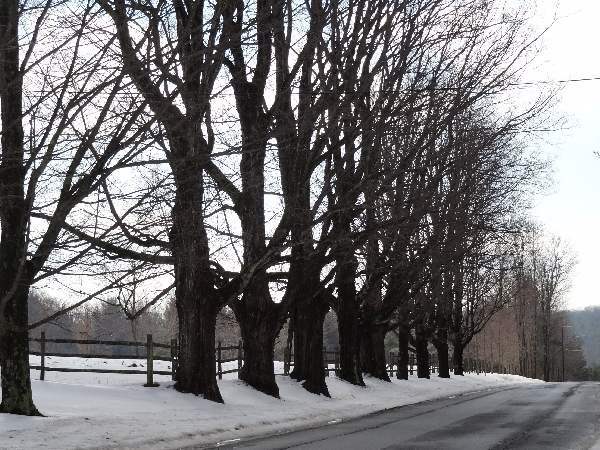 When my husband and I chose a lot for our home we liked that we were on a private park and that eight trees would be planted right behind our lot. 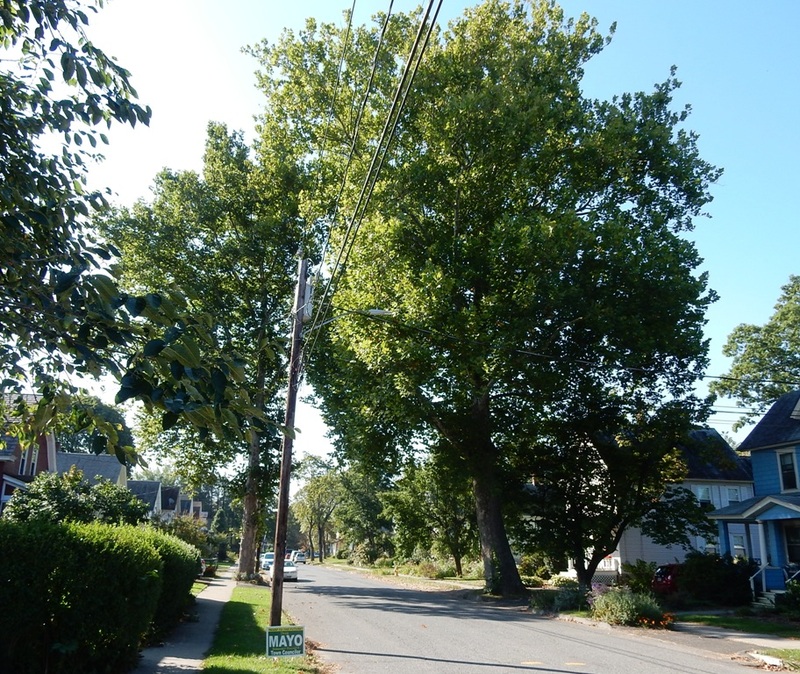 After building, eight ash trees were planted., They grew rapidly and provided privacy and shade. Then the ash borer arrived and all of them were removed. I planted a Rivers birch in my own yard to make up for the loss and it is just gorgeous. I just wish our town would do something about the glossy-leaved buckthorn which are taking over the open areas. Denise – What a sad story. I am glad the River Birch worked for you. It is not always easy to get the town to plant trees, so I guess they will never take action over invasisives.